TERRA is an oasis in the Luxembourgish landscape. 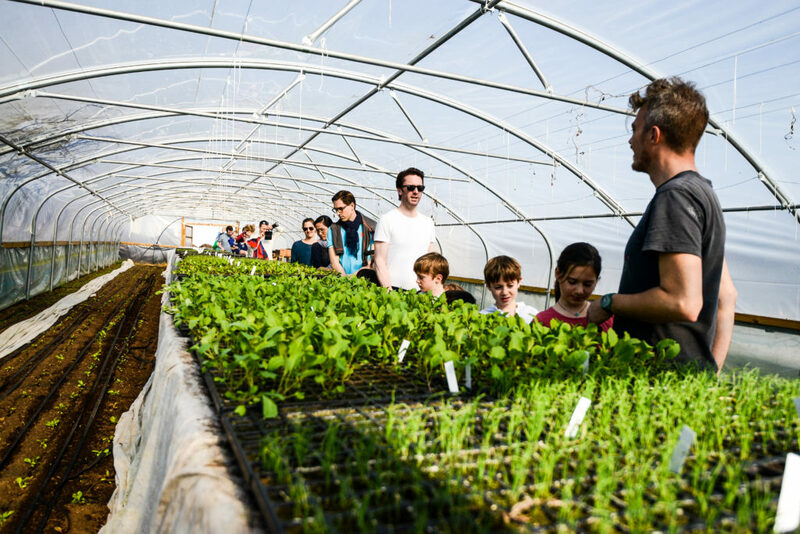 A place of engaged individuals who take care of the soil and nature while producing organic food for more than 200 families. 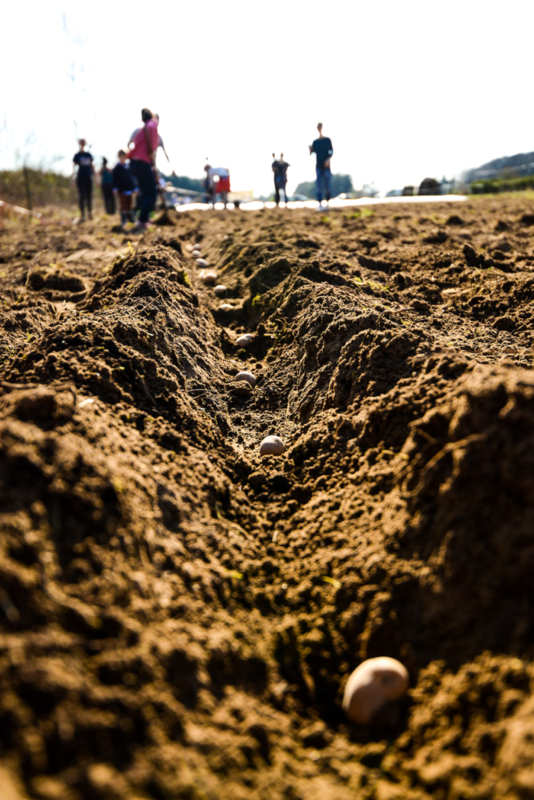 Planting potatoes is one of the activities that can be done during the Open Sundays. Everybody wants to contribute, from elder people to children. I’ve really enjoyed the atmosphere at this unique place as well as the workshops and the conversations over there in the last years. I especially remember a workshop about composting delivered by Marko, one of the founders of TERRA together with Pit and Sophie. During the workshop, we learnt about the different types of compost and it was the first time I heard about vermicomposting. I was so dazzled by the idea that a couple of weeks later I got my vermicomposting kit at home and I start producing compost from kitchen scraps. Another amazing experience was when we built a clay oven. We were a bunch of people dancing on clay, sand and straw to create the required mix to build the walls of the oven. It was a diverse and multi-generational group of people dancing and smiling to create something functional and beautiful. The oven is used during the open-days (last Sunday of the month) and I can say that it cooks one of the best pizzas I’ve eaten in my life. TERRA covers a 1.5-hectare orchard in the Eicherfeld, just 10 minutes from the city centre of Luxembourg. The veggies are distributed directly to the members through a CSA (Community Supported Agriculture) scheme. The pick-up day is a good chance to meet the TERRA team and talk to other members about recipes. This approach gives the opportunity to members to connect with where their food comes from and the people that produce it. Open day at TERRA is a chance for families to visit the fields and to share and party with other members.